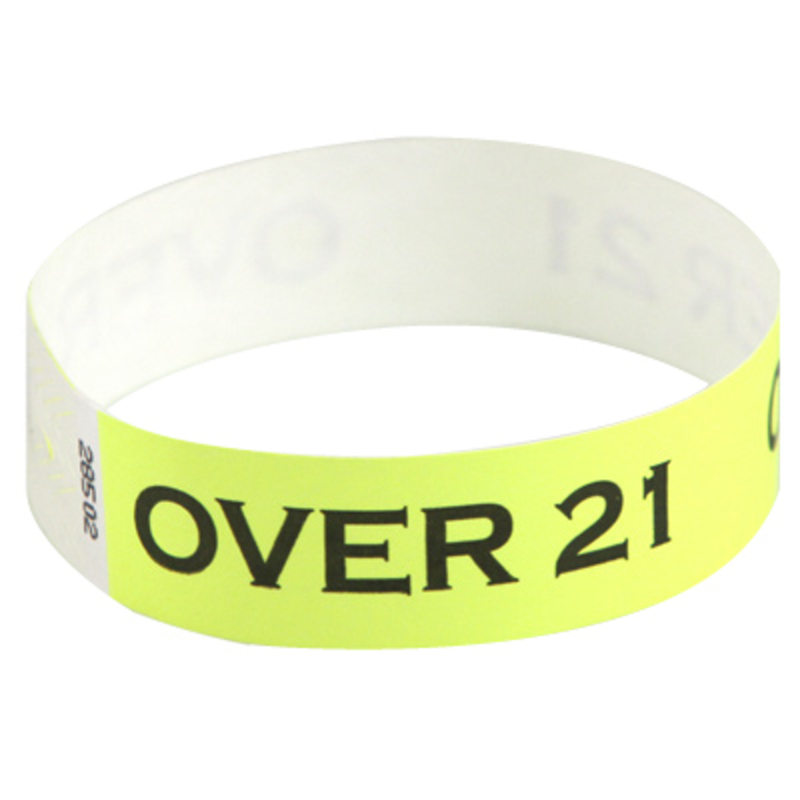 500 Neon yellow Tyvek wristbands printed with the words "Over 21" in big, black, easy-to-read letters. These are great for bars that allow 18 year olds to enter but require you to be 21 years old to drink. They take only a couple of seconds to put on each guest and once in place, they cannot be transfered to another person without being visible damaged.